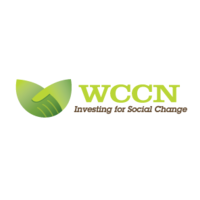 Working Capital for Community Needs, or WCCN, was founded in 1984 and since has been working toward economic development through impact investing in impoverished areas in several countries throughout Latin America. They empower low-income entrepreneurs through sustaining partnerships with microfinance institutions and farming cooperatives in the region. Not only does WCCN work in microfinance, but they have broadened their work to other economic and social development areas, including women’s empowerment,housing access, and fair trade markets. WCCN started in Nicaragua and has expanded to Ecuador, El Salvador, Honduras, Guatemala, and Peru in the last 30 years. In 2013 alone, they reached over 30,000 micro-borrowers. Mission Statement: Create opportunities for access to microfinance, services and markets to improve the lives and communities of the working poor in Latin America. Loan Impact Investment. The Skees Family Foundation began working with WCCN in 2015. We fully support their mission of economic development through empowering entrepreneurs. We think they do great work in this area and we also respect their well-rounded efforts of fulfilling other needs, such as access to housing. We are thrilled to begin our partnership with this admirable organization.